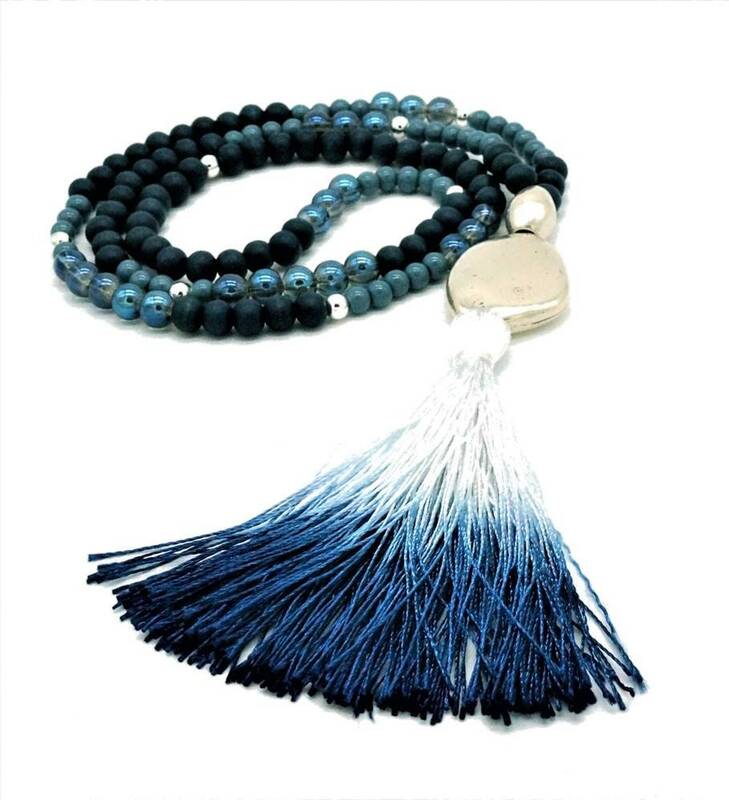 Blue Mala necklace made of various mats and shiny blue beads (wood, glass) as well as striking silver metal beads. 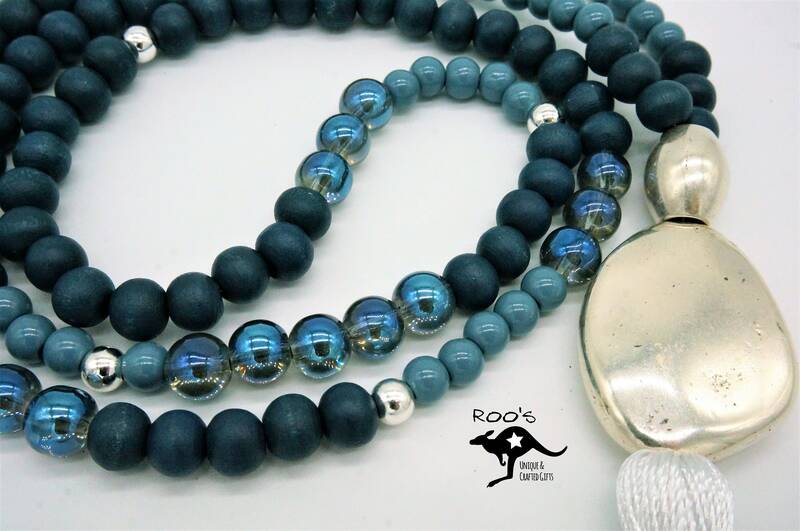 Transparency is ensured by the large translucent glass beads in shimmering blue. 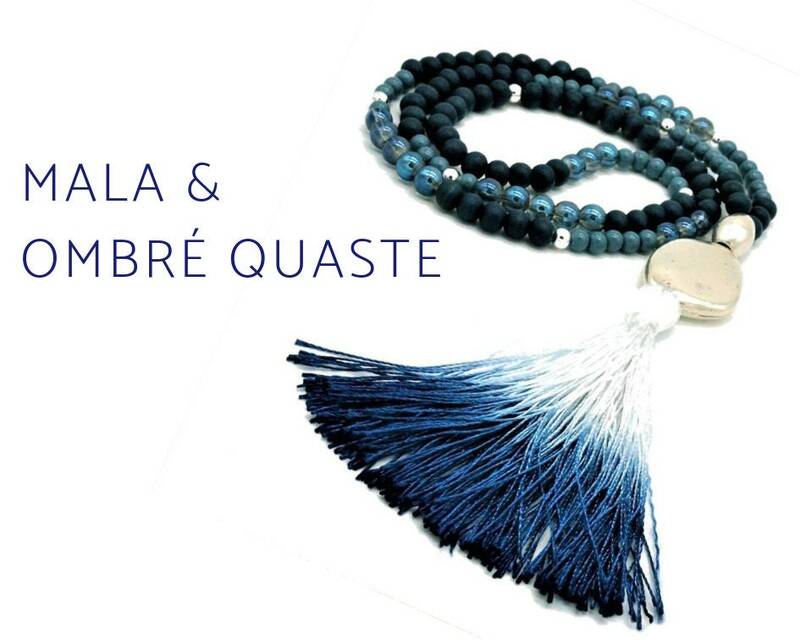 Eye catcher is a larger flat irregular silver metal bead on which the 7 cm long silk tassel is located, which captivates with its beautiful ombre effect-the course from blue to white. 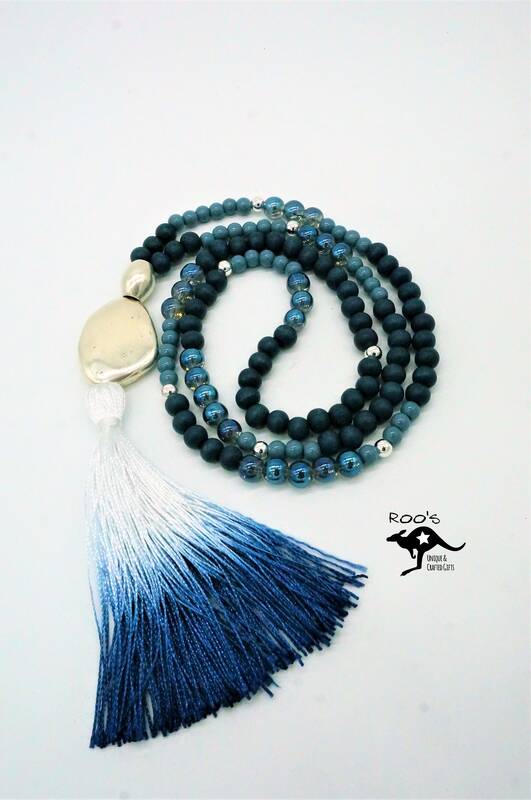 The chain is up to the tassel 42 cm long (total length 84 cm) and with the tassel approx. 52 cm long. 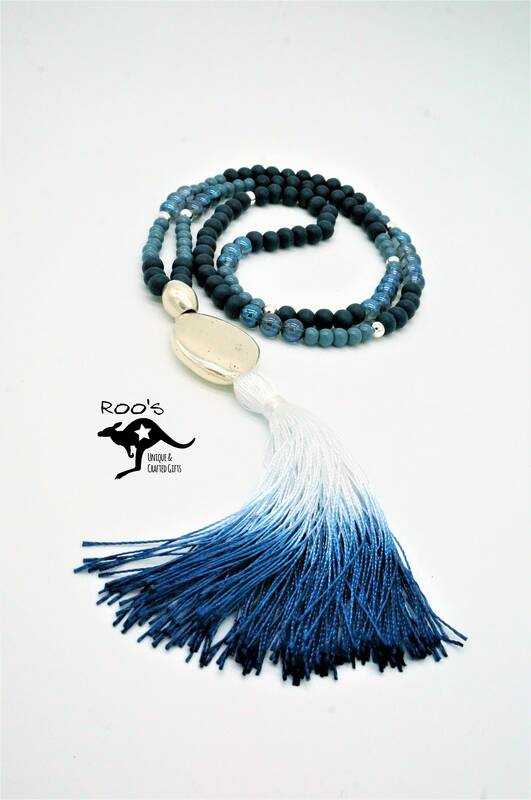 This handmade unique item is shipped as a gift wrapped in the organza bag.